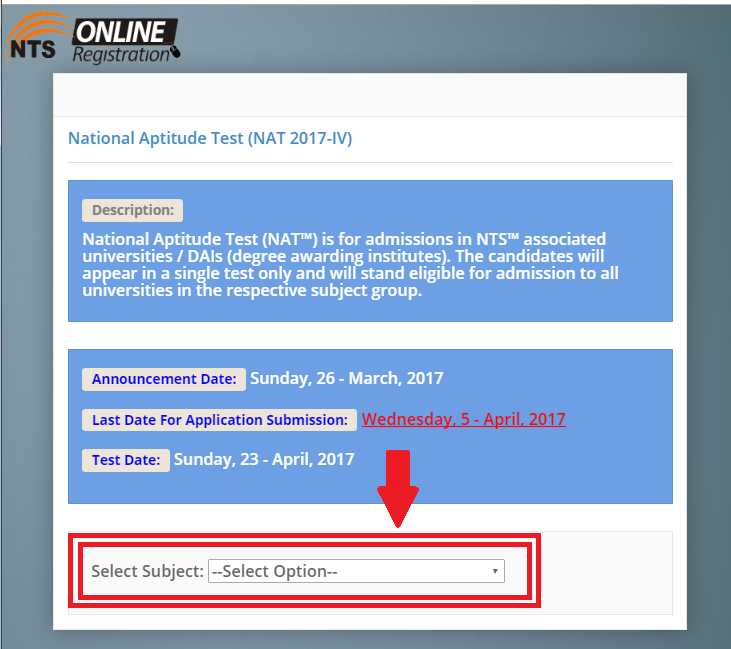 Following are the steps wise process to apply for any project using NTS Online Registration. Fill any other required information forthe post (if any). Deposit Bank deposit fee through bank deposit slip in the online branches of MCB, Meezan Bank, HBL or ABL. Send the deposit slip to NTS Headquarter: (Islamabad Office), Plot # 96, Street # 4, H-8/1, Islamabad. Incomplete or improperly filled registration details will not be processed. 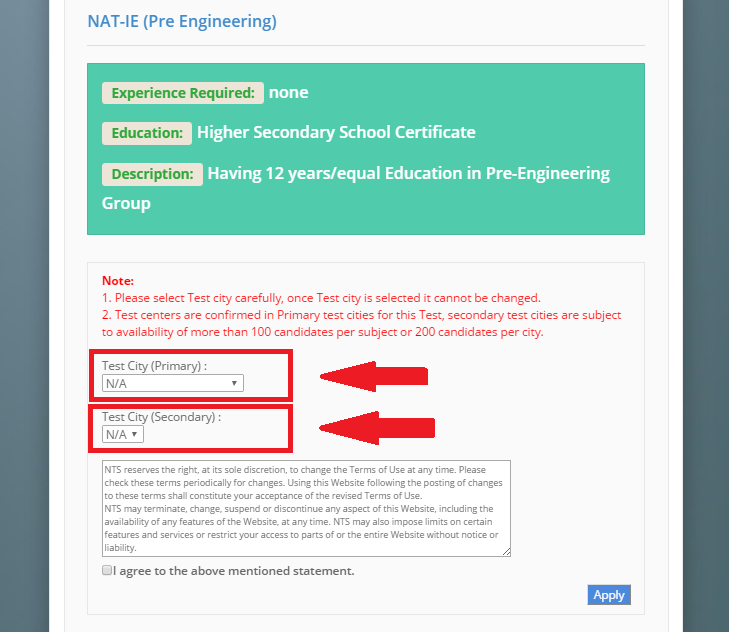 Provisional eligible candidates list will be displayed on our website on first come first served basis of the registration Form (within one week of the receipt of registration form). Queries regarding provisional data will be accepted within 4 days only. 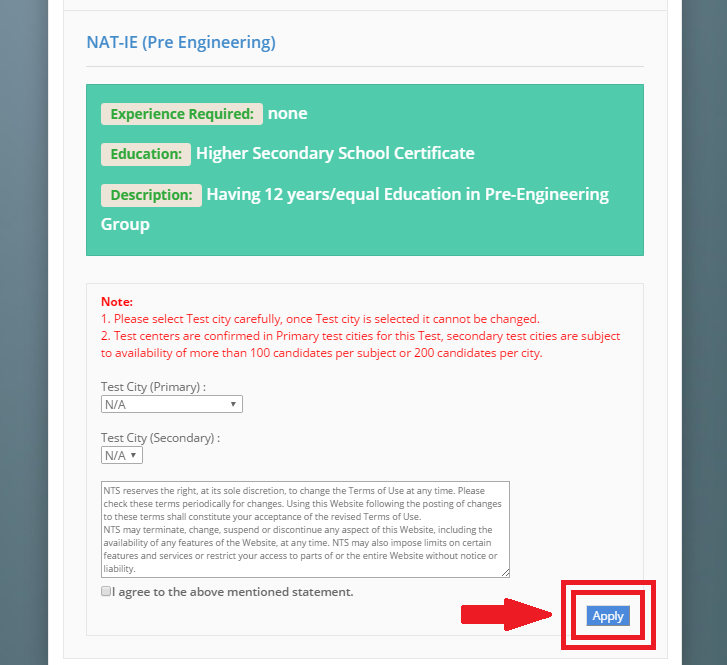 Final eligible candidate list will be uploaded 2 days after last date of provisional list. 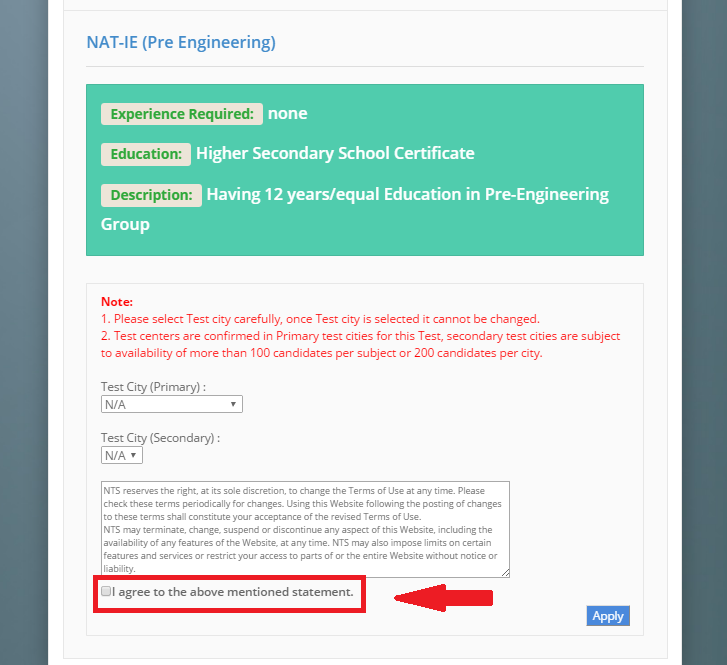 Roll number and test center will be allotted in final eligible candidate list. The roll number slips will be dispatched by NTS about 10 days prior to the test date. NTS will dispatch the result cards within 7 days after the test date.